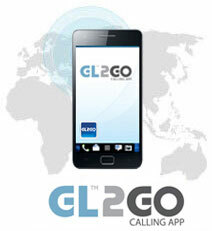 Launch the GL2GO application from your Android™ phone. GL2GO users can establish a phone call connection between two people residing anywhere in the world without either party initiating or paying for the call. Example: If you are a GL2GO account holder and wish to connect Sonia in China to John in Germany, first you must dial (or select from contacts) John’s number as your Destination Number and then enter Sonia’s number from China as your Call Back number. John and Sonia will get connected at no cost to them. *Costs are determined by a on combination of two charges applied from Toronto (our switching facility) to destination number and from Toronto to Call Back number. Using the example above, a GL2GO account holder will be charged the total costs of calling from Toronto to Germany plus from Toronto to China. 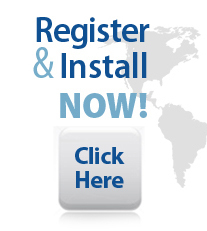 For Enhanced call back rates please see “world to world” in the rates page. If you do not do so, the call will get connected to your voicemail (if you have voicemail feature) and will be deducted from your GL2GO prepaid balance for the connection.